The first quilt together of the New Year. 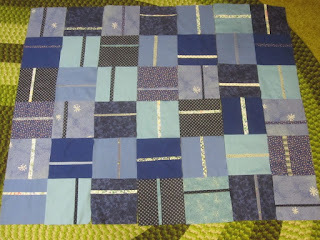 Marg and I will be continuing on with this quilt tonight. We will either leave it as is or add a small border. Then we will start on another one in the same pattern but in orange and browns. 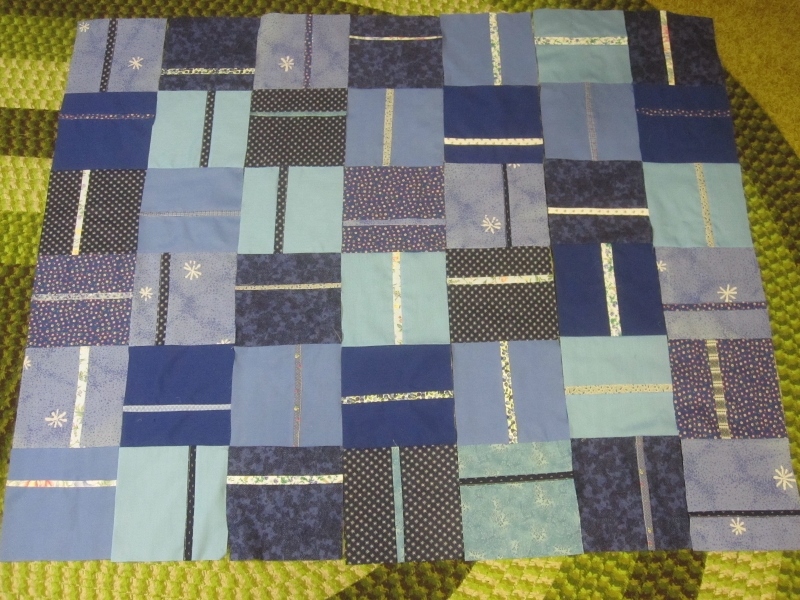 These are lap quilts for wheelchair residents of the veterans' wing of Sunnybrook Hospital. Lovely, and what a treasure for the veteran who receives one. I like the combinations of colors. Very nice to give it to a veteran.